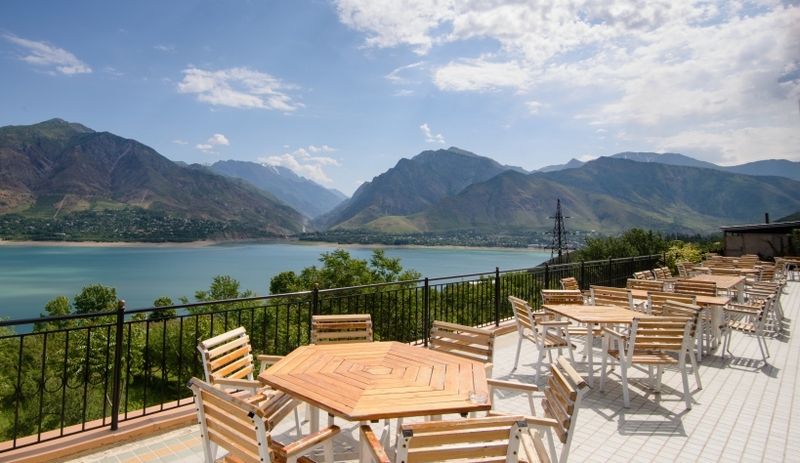 The entire third floor of the AVENUE PARK Hotel Complex is occupied by a restaurant Café des Roses, a unique feature of which is a fabulously beautiful panoramic view of the Charvak reservoir. 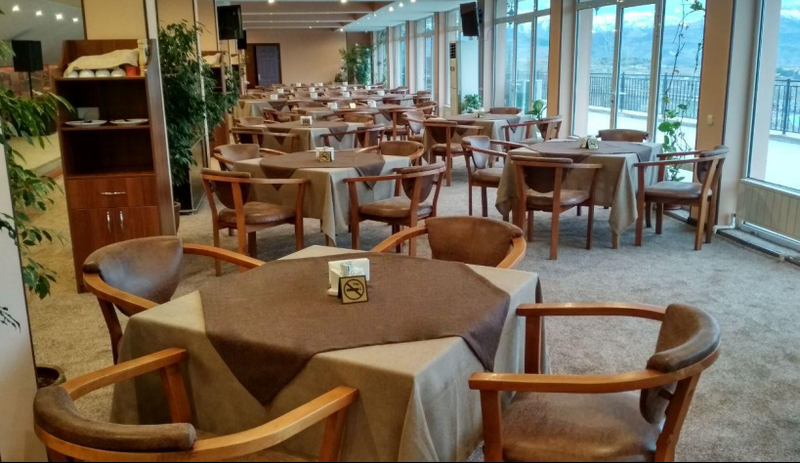 The quiet atmosphere and coziness are provided withthe soft surface of the furniture, the warm colors of the fabric, and an abundance of light and air. 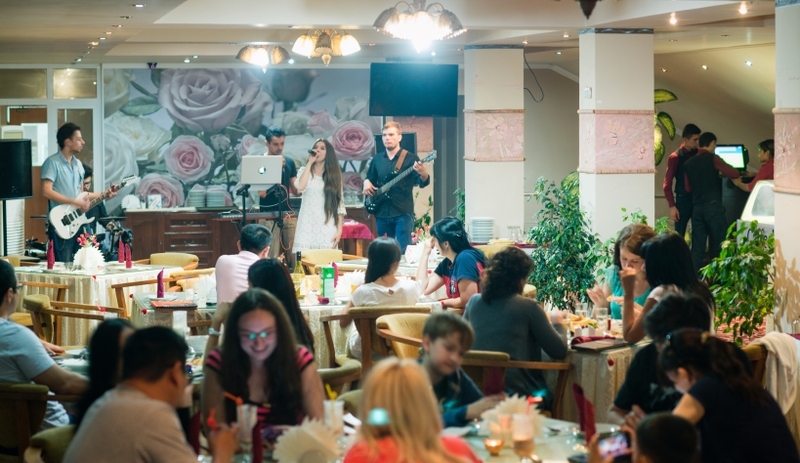 The Chef of the Hotel will offer you a wide choice of dishes made from fresh and eco-friendly food products of high quality, as well as a large choice of cocktails and premium beverages. 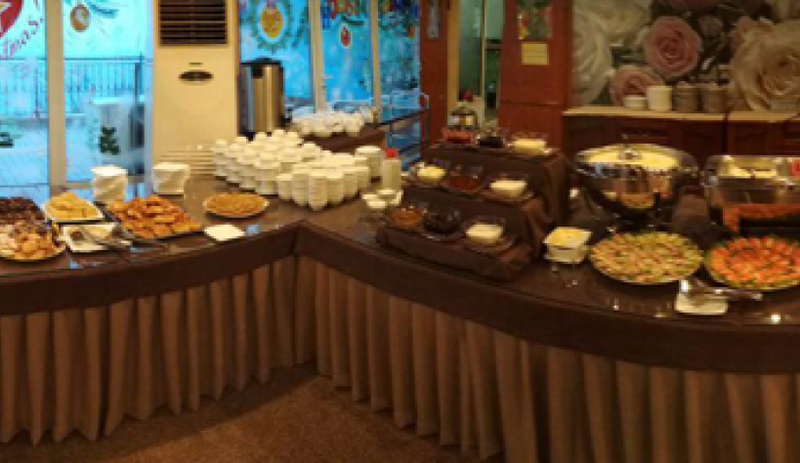 Every morning, the diversity and abundance of our buffet breakfast table, surprise our guests to the upside. 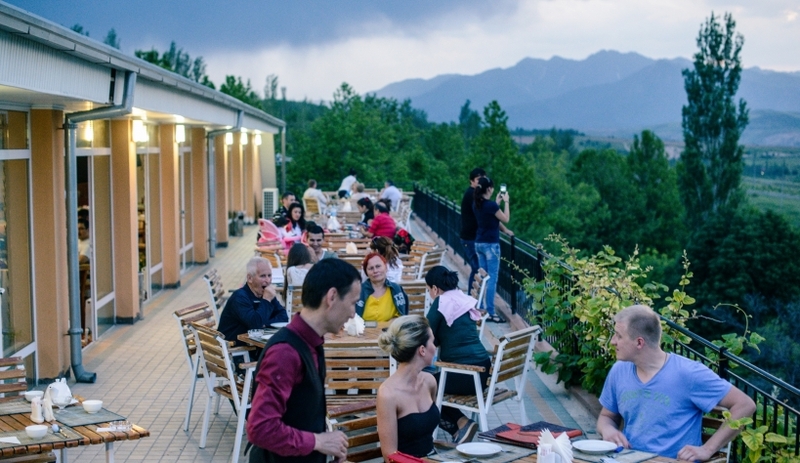 Summer terrace impresses both with the magnificence of the views and the beauty of the sky above the mountain tops, and a completely different perception of wildlife. Just enjoy the feeling of freedom, looking at the passing clouds and sun rays reflecting in the vases with juicy fruit.